LGBT travel is one of the fastest growing tourism sectors worldwide. According to market research firm Forrester, the LGBT market is worth £6Bn in the United Kingdom, and $85Bn (USD) in the United States. 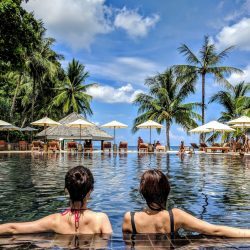 Often branded as DINK – dual income, no kids – travellers, gay people tend to have a more disposable income, and spend more on holidays, than heterosexual couples. In fact, research estimates that gay Europeans spend around €50Bn on travel each year. Your hotel brand identity should therefore be a consistent message about the LGBT-friendliness of your hotel. From the visuals you choose to the copy on your website, your identity must match the image you are trying to project to bookers. When it comes to the visuals on your hotel’s website, delivering the right brand message is crucial. To properly engage with LGBT customers, it’s important that you don’t only feature heterosexual couples in your photos. That being said, it’s not necessary to solely have photos of gay couples – a photo of a single man can work just as well. And if you want to feature an LGBT couple, a photo of two men (or women!) having dinner or enjoying an activity together will do just fine. As you’ll likely want to be targeting both a heterosexual and a gay audience, keep in mind that there should be a good balance of images showing both. You could even create a separate page on your website where you specifically focus on building up your hotel brand identity for a gay audience. Pushing that page out on channels used by an LGBT audience will also ensure you are driving the right traffic to it. Along with the right visuals, your hotel brand identity needs to be emphasised through the copy on your website. This means having the right tone of voice to attract an LGBT audience. Have you ever come across the phrase: “it’s not what you said, it’s how you said it?” That’s exactly what we mean. 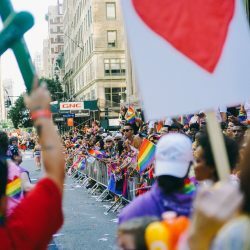 Your tone of voice doesn’t only represent how you feel about LGBT guests, but is also the prime way of communicating your hotel’s brand personality. First you need to decide what tone you want to share on your website. Are you writing in a humorous way or sticking to a more serious tone? Is the writing formal, informal or casual? Do you want to come across as enthusiastic or more matter-of-fact? Once you have identified your tone, stick to it religiously across all your copy. Slowly but surely, your tone of voice will help shape your hotel brand identity. 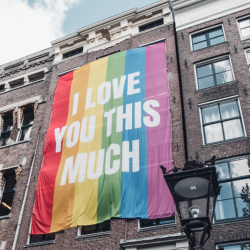 To optimise your hotel’s LGBT-friendly brand identity, providing a unified web experience is a must. That includes ensuring that all content you publish on social media consistently adheres to your brand guidelines. Do you use specific brand colours on your website? If so, make sure that the visuals you post on your social channels mirror those colours. If your tone of choice is friendly and enthusiastic, it’s also important that all your social media comments reflect it. Finally, educate all employees on your hotel brand identity, brand guidelines and brand personality. Remember: consistency is everything! A great way for a hotel to promote their LGBT-friendly brand identity on social media is to partner up with an influencer. Choose a like-minded individual that is well-loved by your target market, and make them an offer they can’t refuse. Once they upload photos of your hotel and tag you in their post, you can (literally) watch your LGBT following grow. If you’re keen to optimise your hotel brand identity to target more LGBT travellers, we can help. World Rainbow Hotels brings together a global community of gay and lesbian welcoming hotels, providing accommodations like yours unprecedented visibility and access to the LGBT market. Through a centralised platform, we connect hoteliers with over 24,000 agencies making GDS bookings worldwide. We offer the only hotel consortia programme targeting gay and lesbian traveller markets. 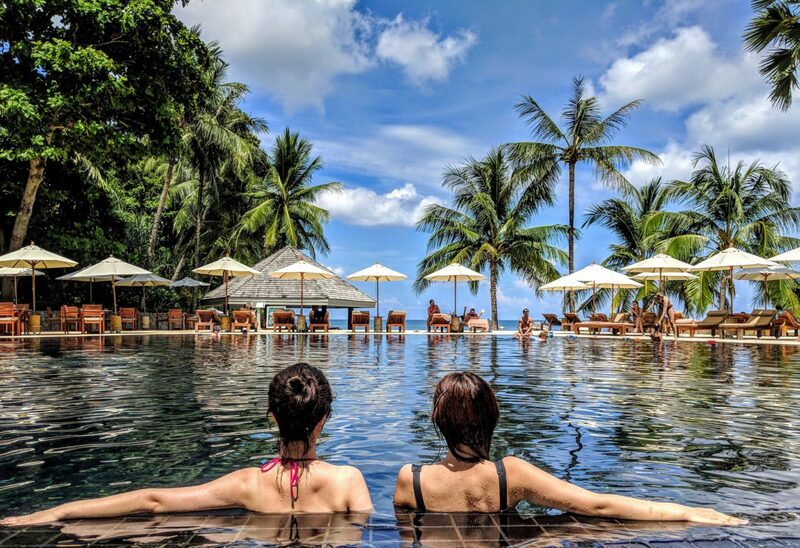 By joining our programme, hotels receive exclusive LGBT-focused marketing opportunities, including campaigns targeting travel agencies and TMCs. If you’re keen to increase online hotel bookings from LGBT guests, find out more about our services or register your hotel today.